Thank you, it fits Gene perfectly and the model is a OOAK repainted Integrity Toys Tulabelle or Teen Poppy, they are very similar in size to Gene, this doll is a little taller but they can wear the same fashions and I try to make sure they fit both nicely. 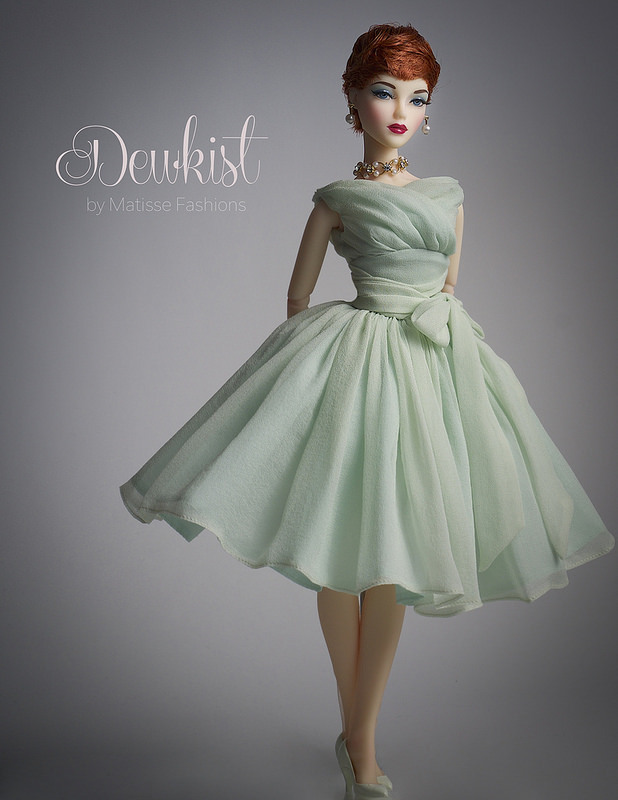 I use this OOAK doll often as she poses well and I love her look. This suit is lovely, I note that it is for Gene as well, which doll is it that you have it displayed on and are her measurements the same as Gene?